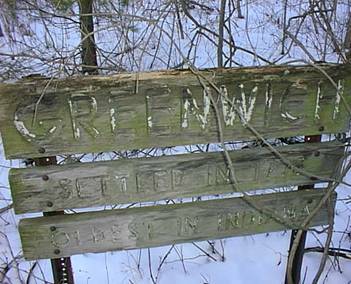 Greenwich was first inhabited by Native Americans. It was later inhabited by French and Native American fur traders. The falls made it necessary to carry canoes along the banks of the river. This made it a convenient place to start a trading post. Later, pioneers used the hard rock river bottom at the falls to cross the White River East Fork on their journey west. 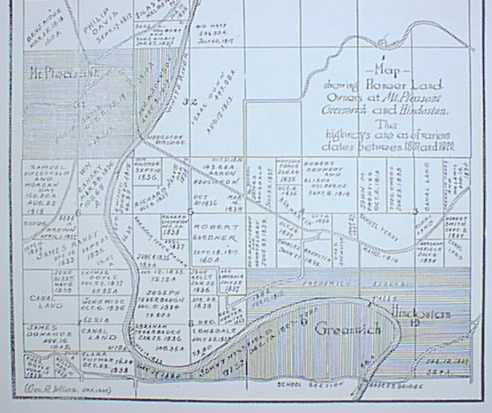 The wagon trail that ran through Greenwich was one of the first paths from Cincinnati to St. Louis. In the early 1800’s it was platted and settled. 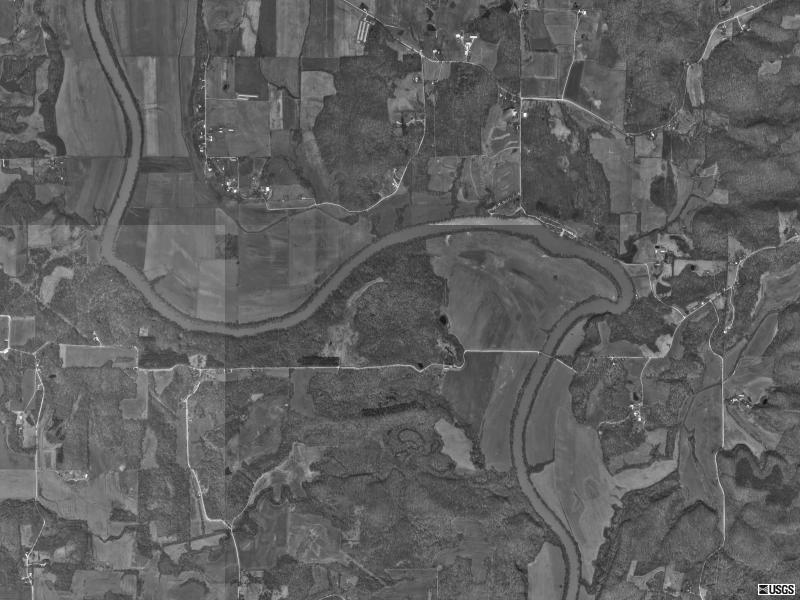 It was the first European settlement in the Indiana territory. This sign posted within the last 50 years was rediscovered recently. 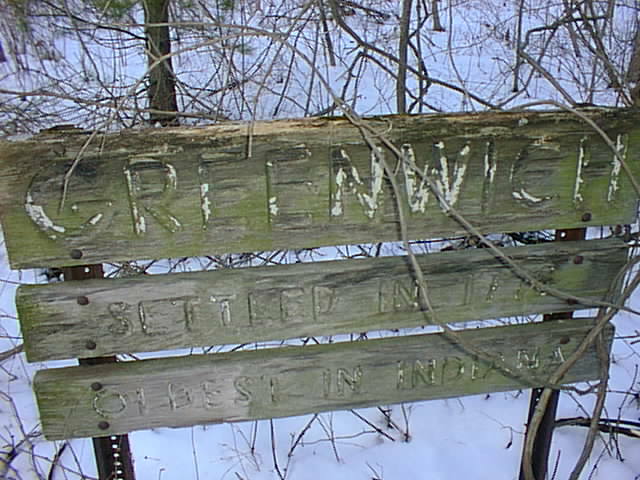 It reads "GREENWICH, Settled in 1778, Oldest in Indiana." This is an ad for lots for sale in Greenwich posted by William Harris in the Western Star newspaper on May 23, 1818. 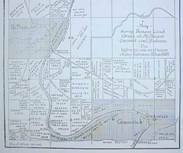 It gives a good description of the land as it was and several of the details still apply today. 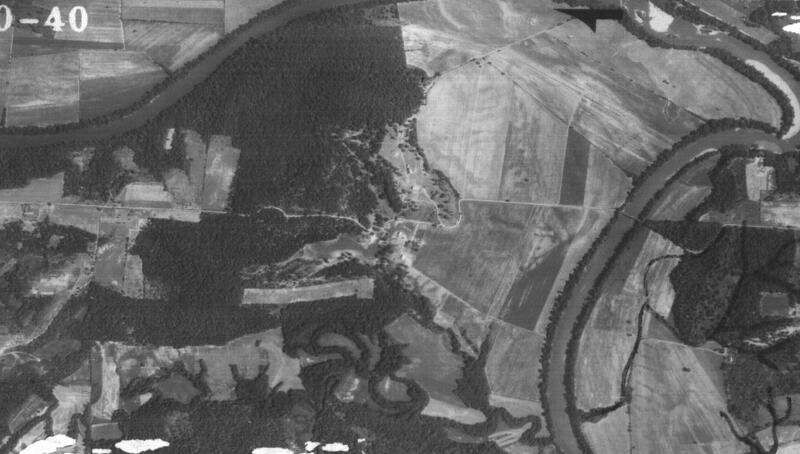 This is an aerial photo of the area taken in 1940. It was obtained from the Earth and Atmospheric Sciences library at Purdue University. 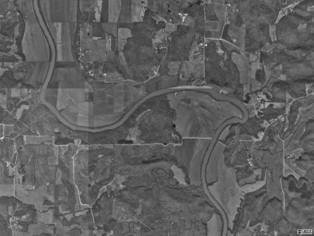 This is an aerial photo from 1990 provided by the USGS via Mapquest.